Caster Semenya has won South Africa's sixth medal of the London Olympics as she came second in the women's 800 metres final. London - Lusapho April was the first South African home in the London Olympic marathon on Sunday, crossing the line in two hours, 19 minutes, in 43rd place. 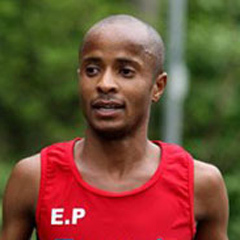 Stephen Mokoka finished closely behind Lusapho, in 49th position, in 2:19:52. The gold medal was won by Ugandan Stephen Kiprotich in 2:08:01, followed by the two Kenyans, Abel Kirui (2:08:27) and London marathon winner Wilson Kiprang Kiprotich (2:09:37) for silver and bronze, respectively. Zimbabwean Cuthbert Nyasango ran a personal best of 2:12:08, ending in seventh place and compatriot Wirimai Juwawo finished 15th with a season's best, in 2:14.09. South Africa's Coolboy Ngamole did not finish the race.